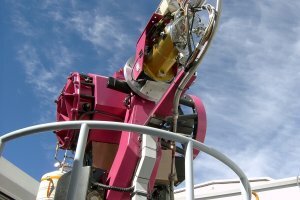 REM (Rapid Eye Mount) is a 60 cm diameter fast reacting telescope located in the La Silla premises of the ESO Chilean Observatory (29°15′S and 70°44′W). Its relatively small size is in fact balanced by a 10 deg/sec accurate fast pointing. This velocity makes REM suitable for immediate response to random alerts. Being build and continuously working for GRB prompt follow-ups, REM is now offered to the community who can submit proposal every 6 months. 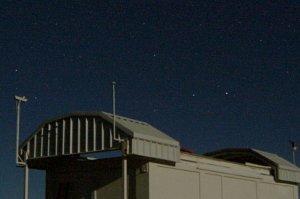 The telescope hosts two instruments: REMIR, an infrared imaging camera, and ROSS, a visible imager and slitless spectrograph. The two cameras can observe simultaneously thanks to a dichroic placed before telescope focus the same field of view of 10x10 arcmin. In the infrared range from 1 to 2.3 micron REMIR can use a [z', J, H, K'] filter set and frames can reach H=15 in 5 sec exposure. ROSS is equipped with a standard filter set [V, R, I] and an slitless Amici prism which can divide the 0.45-0.9 micron range in 30 bins. In 1 sec the magnitude of R=16 is reached. The observing procedure is completely robotic and the nightly schedule is optimized for the observation of scheduled targets but it is immediately overdriven by GRB (or other) alerts. Typically REM can observe the new target after 30 seconds from notification. REM has been installed in its place during June 2003 and has been gathering data on GRB and other sources since then. Also it can be considered a bench for experimental instrumentation and equipment. Different solution for the cryogeny in the IR camera, a number of IT architectures and a fast (quasi TV) intensified camera (Tortora) filled the technical schedule of the past years. 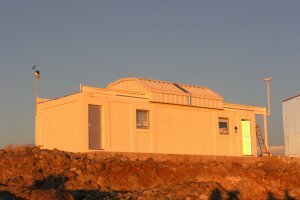 The Observatory is operated for INAF by the REM Team, a delocalized group of people.